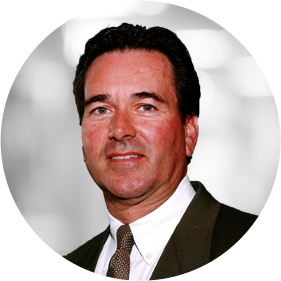 Jim Nolan is the retired Executive Vice President and Chief Financial Officer of United Trust Fund, a real estate investment firm specializing in the acquisition, development, financing and disposition of single tenant net leased real estate. For the past 25 years, United Trust Fund, a privately owned real estate investment company, has completed more than $2 billion of sale-leaseback and build-to-suit net leased real estate projects. Mr. Nolan is also an investor, officer and director of numerous related companies and businesses formed for the purpose of holding title to the net leased real projects. Jim is a registered principal with the NASD, is a Registered Investment Advisor with the State of Florida and holds a Florida and Georgia real estate brokers license. He previously served as the President of MDC Equities, a wholly owned subsidiary of a NYSE-listed corporation and as Senior Investment Officer for First Capital Companies, a publicly syndicated commercial real estate investment company. Jim graduated with high honors from Northeastern University, Boston, Massachusetts with a Bachelor of Science in Business Administration. He is now a member of the Corporation of Northeastern University Boston, and serves on the financial affairs committee. Jim is a past member of the advisory board for Commercial Property News and has been published in numerous professional and trade magazines on the subject of credit net leases. In addition to his heavy business schedule, Jim is active in numerous community and professional organizations and has held leadership positions, served, and actively participated in numerous non-profit and charitable organizations, including Chairman of Temple Beth Am Board of Trustees, Board member of the Dave and Mary Alper JCC, and Vice Chairman of the New World School of the Arts Foundation Board. Mr. Nolan is also an active contributor and supporter of the Alexis de Tocqueville Society of the United Way of Miami-Dade. Jim’s focus with The Collective is on inner-city multifamily developments, land and lot acquisitions, and commercial projects.